Four or five years ago, Frostheim of the Warcraft Hunters Union, wrote one of the greatest, most comprehensive lists of why Hunters are so awesome for his Hunter column on WoW Insider. However, the new melee Survival spec didn't exist back then, so he was unable to to include the multitudes of awesomeness that comprise the melee Survival Hunter. I don't actually know Frostheim well personally, but he did once reply to a tweet of mine, and I like to think that that twitter reply was really his way of passing me the proverbial torch, of handing me the reigns and saying "You, Delirium, must go forth and continue to spread my message of Hunters, Math, and Beer." (Sometimes, you've got to really read between the lines to get at what someone is really trying to say). Survival Hunters are close enough to /pet their pets during combat. Everyone knows Hunters are unreasonably good-looking, so why stand at range, making people look at you from afar? Playing Survival means you can ease your enemies’ pain by letting them bask in your good looks up close, as you smash their faces. Survival Hunters are the only spec in the game with a viable build for every single talent we have. Butchery: because when I want to use an ability that will one-shot a pack of mobs, I don’t want to have to worry about little things like targeting, or whether or not they’re in front of or behind me. 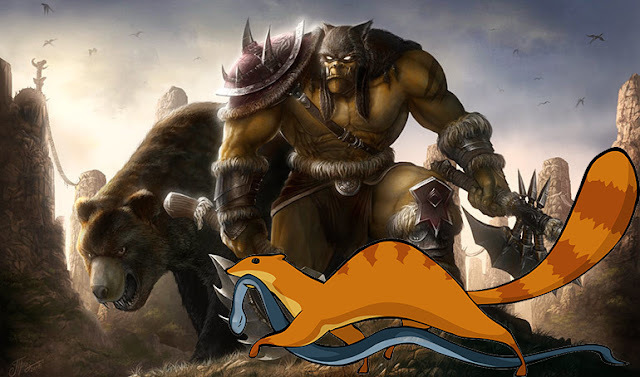 Rexxar is a Survival Hunter. Survival Hunters are so well liked, healers don't even mind healing you when you stand in fire, but for those times when you don't want to, we've got Disengage: the single most badass movement ability in the game. All hunters can Disengage, but only SV Hunters can also Re-engage. Don't worry Indiana, we've got Snake Hunter. While Mongoose Bite can protect you from snakes, if we don't like you, we will not hesitate to drop a Cobra in your lap. Survival Hunters learn how to use Raptor Strike from working with real raptors. SV Hunters never pull entire instances with Barrage. Prince Oberyn is a Survival Hunter. Like Prince Oberyn, even on the rare occasion we lose a fight (because we were too obsessed with finding vengeance for our family to finish the fight), we still looked damn good while fighting. Survival Hunters are so respected in the world, we get special emotes from the Tauren of High Mountain. On Firefly, referring to swordfighting, Inara once said "We're fragile creatures. It takes less than a pound of pressure to cut skin." But, baffling scientists everywhere, it takes less than half that for a Survival Hunter's Polearm. 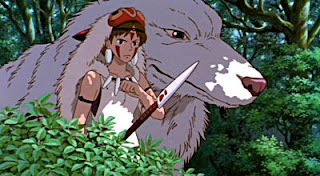 Princess Mononoke is a Survival Hunter. All Survival Hunters know how to juggle. We can even juggle axes. We can even juggle axes at your face. It's said "what doesn't kill you only makes you stronger", but the Way of the Mok'nathal means what doesn't kill you only makes me stronger. If someone isn't nice to a Survival Hunter, no one will want to be around them. Mostly because we can just set a Sticky Bomb and then watch their friends scatter as they're all knocked back. You know that guy in raid who just never stops talking, even during pulls? We've got muzzle for that. When Survival Hunters yell "Get off my lawn", it's not because they're mean old geezers, it's because of the Explosive Traps, Freezing Traps, Tar Traps, Steel Traps and Caltrops. After realizing the full extent of how amazing Survival Hunters were, Blizzard had to introduce an entire new class to the game, the demon hunter, for players who wanted to play melee and wanted to be called hunters, but were worried they weren't good looking enough to play Survival.